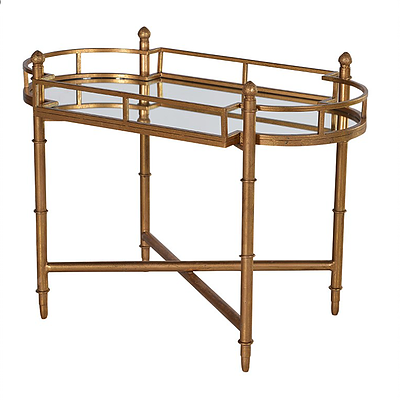 It’s definitely number one on our lust list. 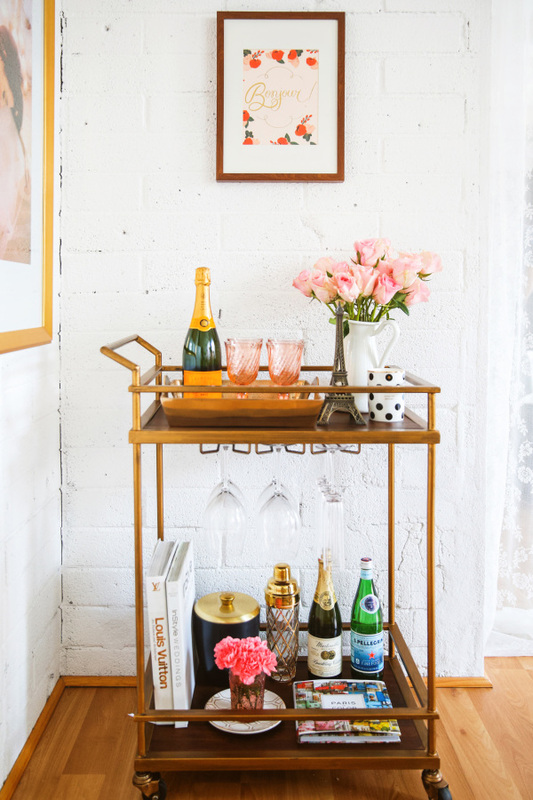 The great thing about a bar cart is it’s versatility. 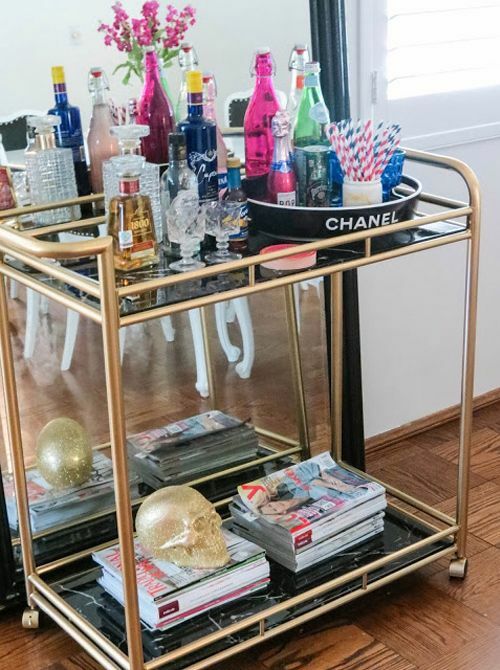 It can be used for towels and toiletries in the bathroom, ornaments, flowers and books in the hallway, kitchen bits in the kitchen, or the ultimate 70’s bar on wheels, in, well … any room? 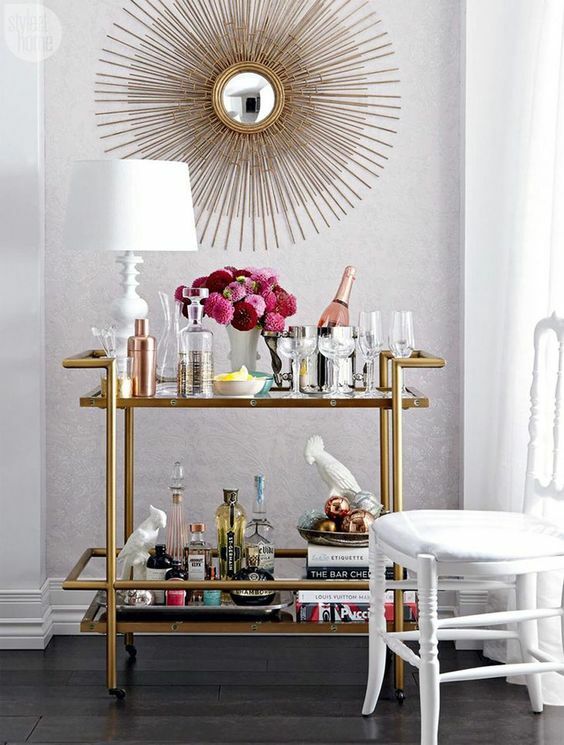 The best kind of bar cart in our eyes is, of course, a gold one. Because who doesn’t love gold? 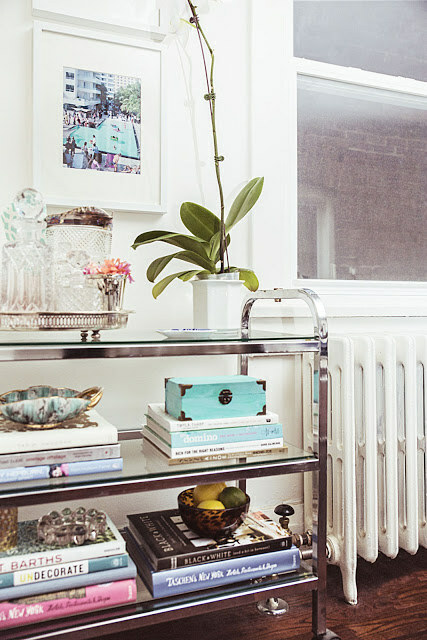 It goes with most colour schemes and adds a lux feel to any corner. 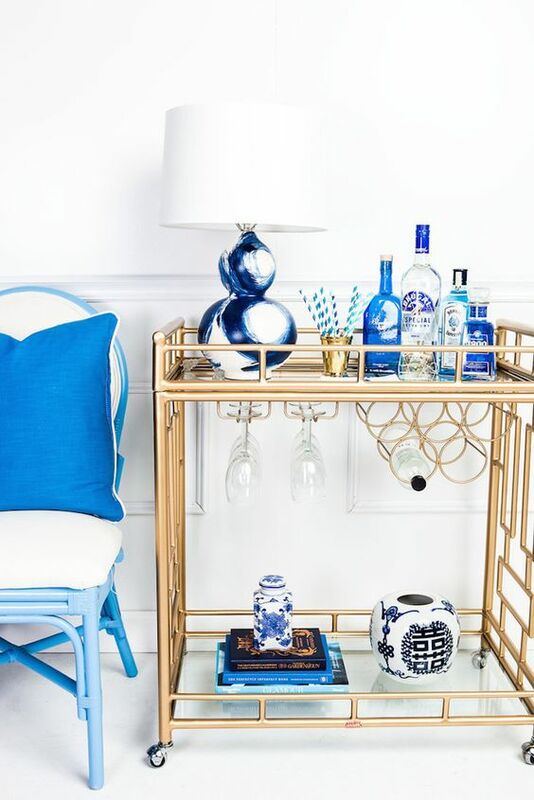 What could come across quite cluttered on a normal side table, becomes a statement display when it’s placed on a double tiered bar cart. 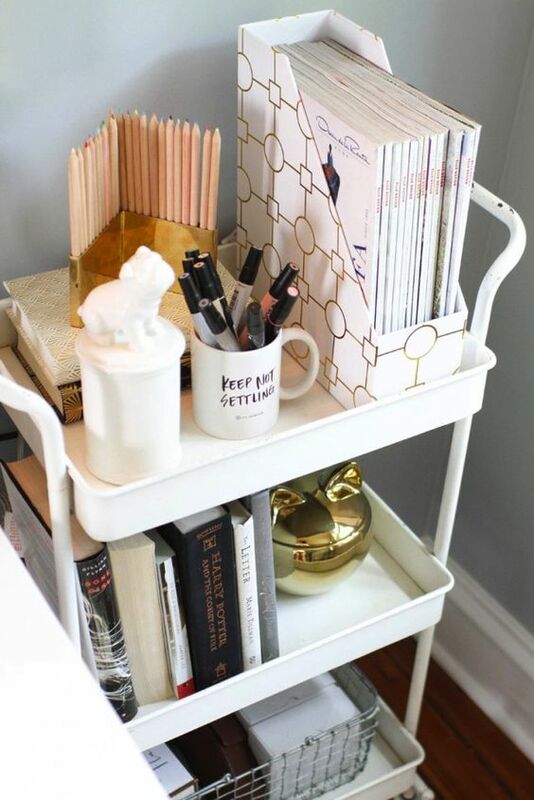 So as well as being a gorgeous addition to any room, it’s also a great way of disguising some of your much loved clutter! 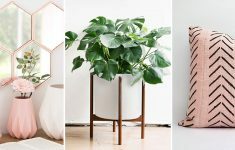 We love the idea of using a cart in your home, in your office or as a night stand, and these are some of our favourite looks. 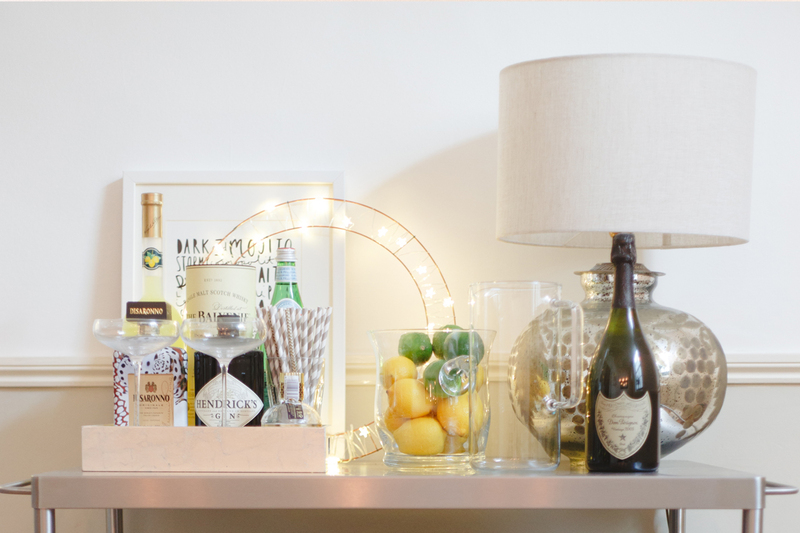 We adore the style of combining home accessories with a bar arrangement too. 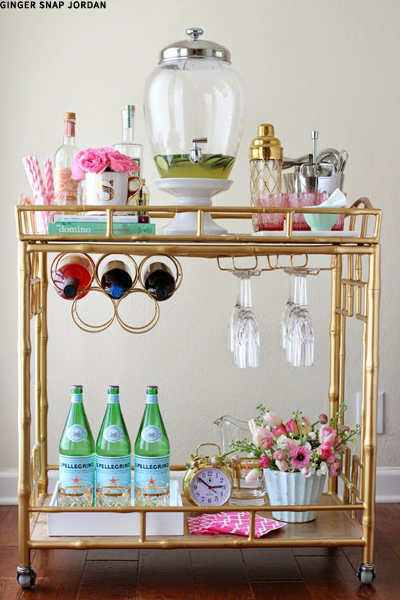 You don’t want to come across as a complete raging alcoholic, but there’s nothing wrong with a mini bar on wheels with a touch of class! 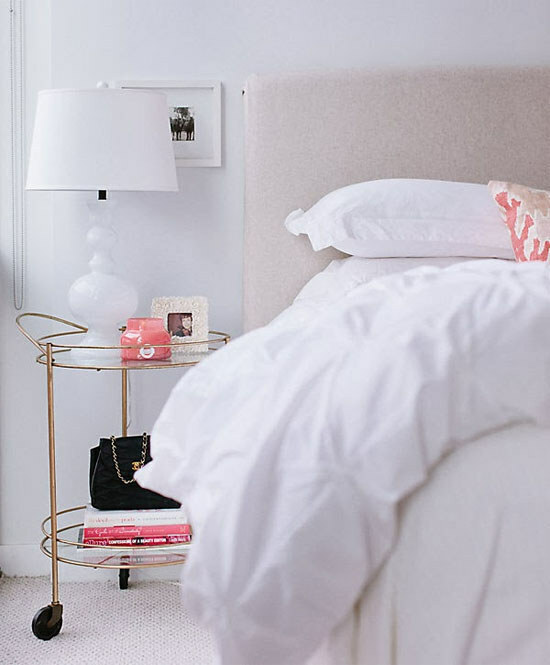 A statement lamp adds the right amount of homeliness, as well as a chunky stack of books. 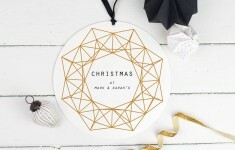 Flowers and ornaments (we recommend a pineapple of course!) 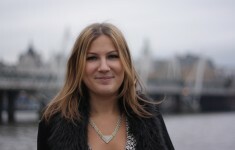 can be used to add a pop of colour and elegance. 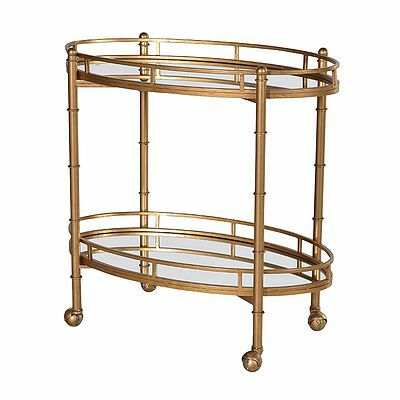 Placing the cart below a 70’s style mirror or abstract painting also adds to the overall retro-chic aesthetic. 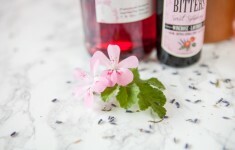 So what do you say, is it time to get your most elegant stirrers, mixers and glasses on show? 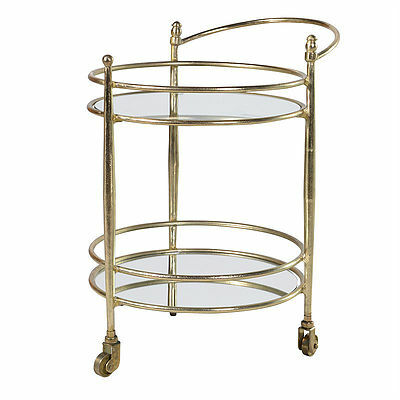 Have a look at the gorgeous gold bar carts and trays over on ohwhatsthis.com.